I'm a self confessed "I LOVE THE UK" geek. I absolutely adore this little island that we live on - the history, culture, food, countryside and people make it a truly fascinating country to explore. There's not actually that many cities in the UK I haven't visited. 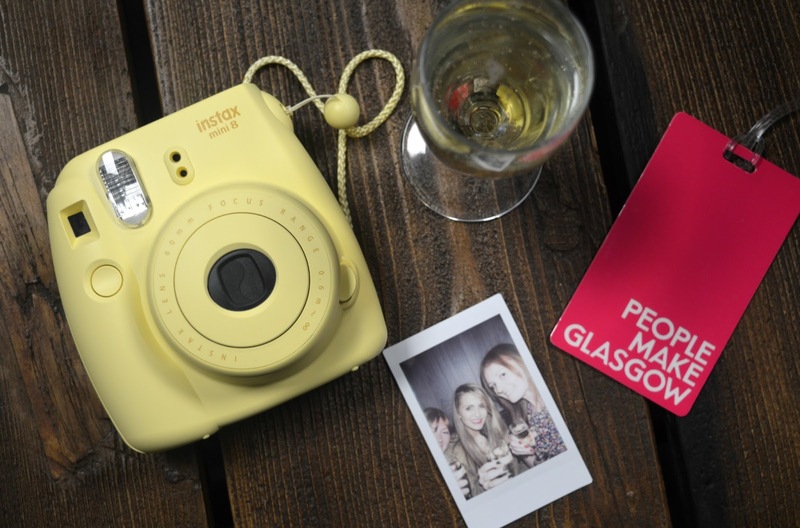 So when People Make Glasgow got in touch and invited a few North East Bloggers up to Scotland for the weekend I was very excited. You see, Glasgow is a city I have never been to before! Luckily for me my company for the weekend was two of my best friends, Katie and Sam. We met at Newcastle's Central Station on Friday evening, slightly giddy at being able to leave our men at home and have a fun filled weekend with the girls. Glasgow is just over 2 and a half hours by train from Newcastle so plenty of time for us to relax and enjoy a train picnic. We each bought a selection of goodies to nibble on and ended up with quite a feast, these girls know how to pick out the very best M&S food! Then it was time to sit back and catch up on the week's gossip. Our home for the night was the Euro Hostel (which you can read all about here) which was a very short walk away from the train station. You can get a bed for the night for as little as £10.00 (shared dorms) or £20.00 (private rooms). After arriving pretty late on Friday evening we woke on Saturday morning fully refreshed and ready to explore the city. 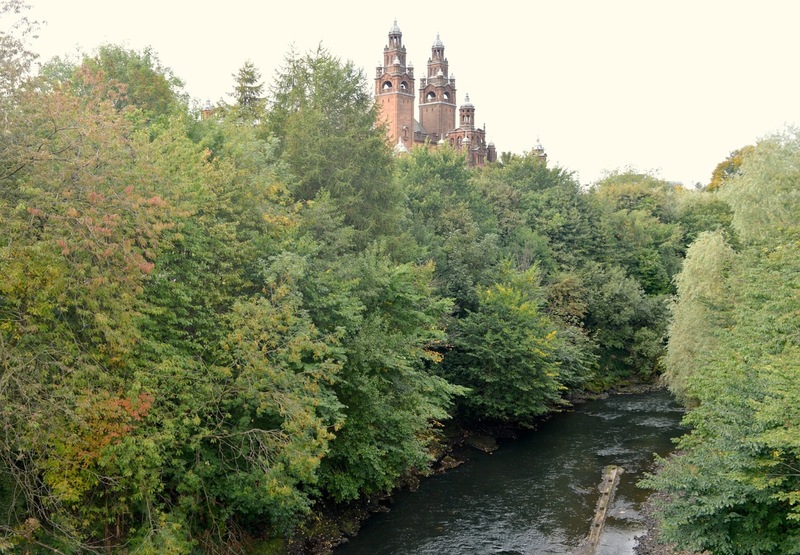 People Make Glasgow are the official guide to Glasgow and a very good starting point when you're planning your city break adventure. 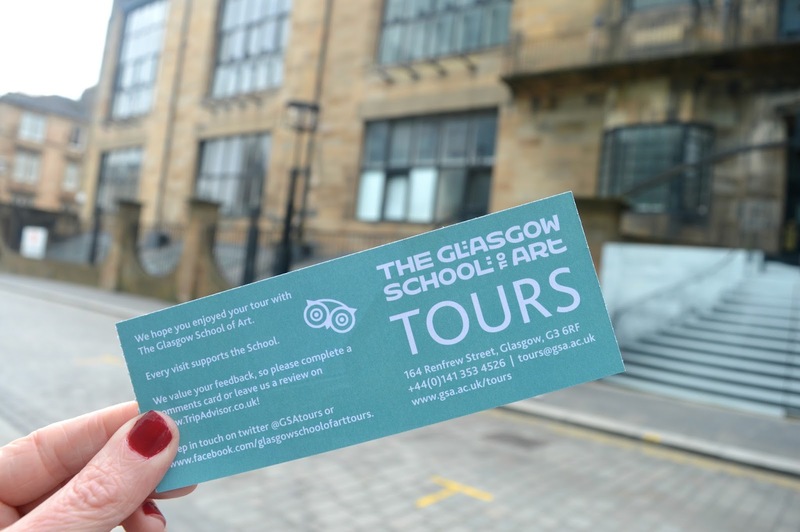 They gave us loads of ideas of what to see and do and so we started our Saturday morning with a trip to the Glasgow School of Art to learn about Mackintosh. Now I'm the first to admit that I really don't know much at all about art. Whilst I appreciate lovely things, I'm no expert and what I know about art you could write on the back of a postage stamp. 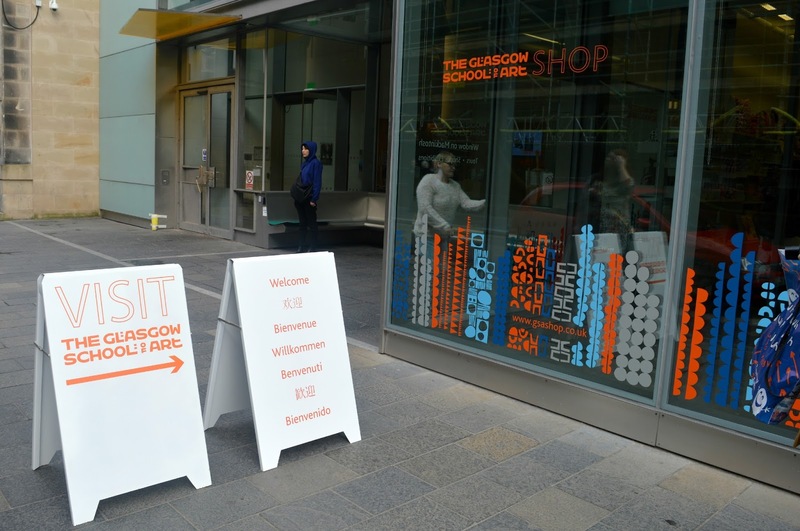 So I was a little apprehensive about going on a guided tour and was worried I might not find it interesting. 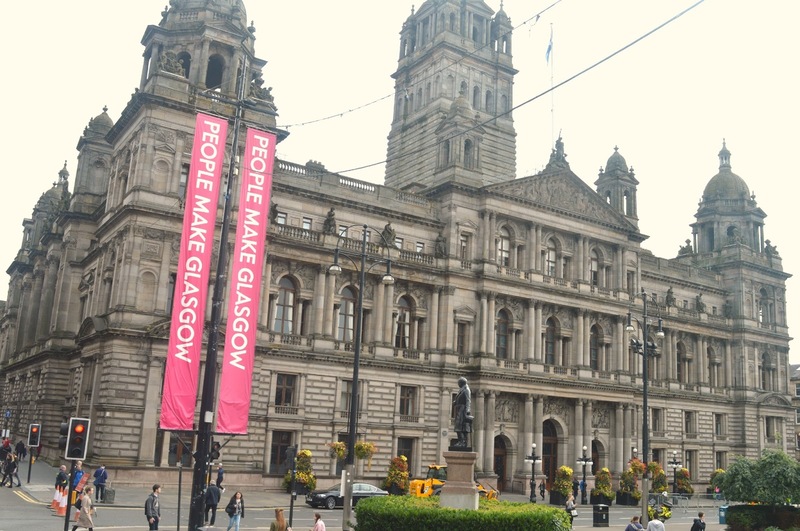 So I really do owe a massive thank you to People Make Glasgow for giving me the gentle nudge to try something new because I had the most amazing time. The "Mackintosh at the GSA Tour" was lead by Alex, a graduate of the Art College. She was passionate, interesting to chat to and really brought the story of Mackintosh to life. Charles Mackintosh was one of Glasgow's most influential figures - architect, designer and artist, you can find his work dotted around the city, but his finest piece is the Glasgow School of Art. He won a competition to design the building in 1896, a junior draughtsman, he was given a budget of just £14,000 to complete the school. As the work began it became clear that it was going to be impossible to build the school to budget which meant that only the eastern wing was completed to the original plan. 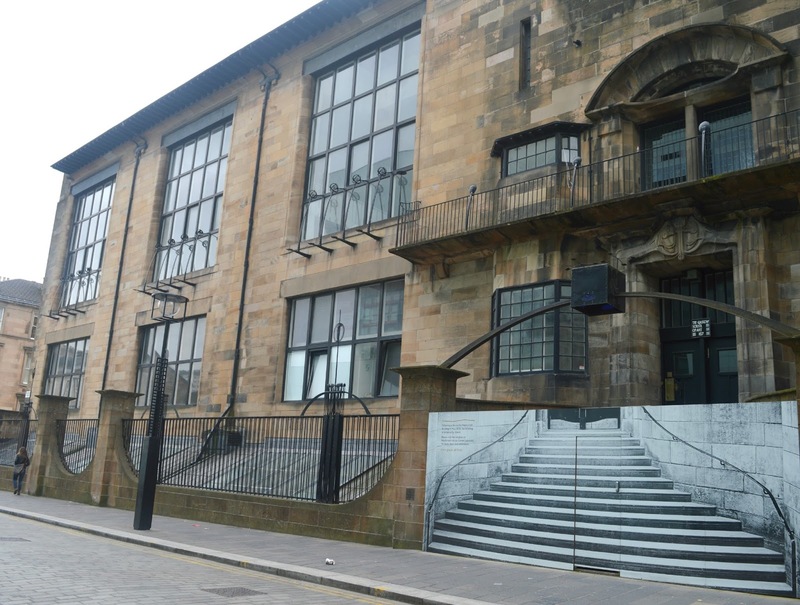 The second part of the building was finished many years later and has lead to a completely unique building which visibly shows the progression of Mackintosh's ever changing ideas. There are so many fantastic features of the building that I never would have noticed on a casual stroll past and I could sit here all day telling you about them, but really it'd be far better to go and discover this amazing building for yourselves. If you are interested in learning more about a truly remarkable building I highly recommend booking the tour, tickets cost £9.75. Unfortunately last year part of the Mackintosh building was destroyed in a fire. I can't even begin to imagine how devastated the legacy of students must have felt at the time. Luckily the fire crews were quick to act and the building is currently being restored to its former glory with fundraisers and donations from generous fans (including a certain Mr Brad Pitt!). Our tour ended across the road at the brand new "Reid Building", built to complement the Mackintosh Building it's built of concrete and glass and is an amazing use of space and light. 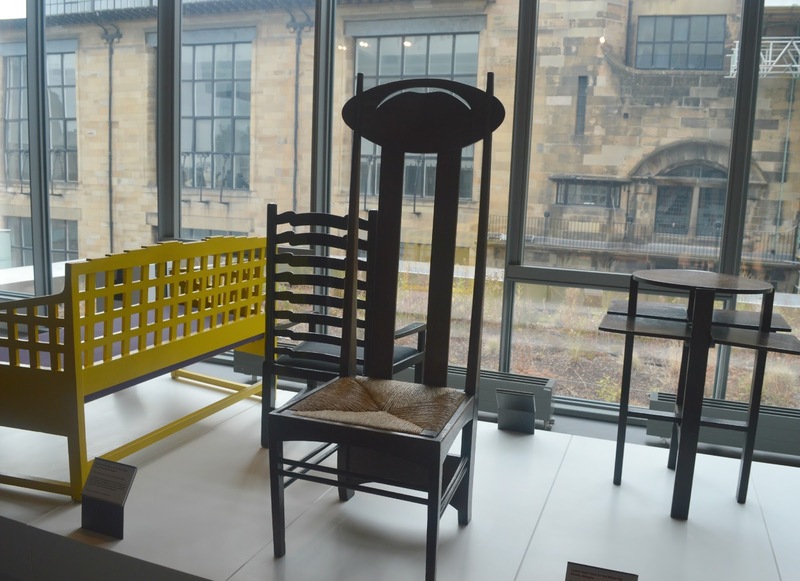 We were taken to the top floor to explore the Mackintosh furniture collection, a part of the building that can only be accessed as part of the tour. There were some beautiful pieces to look at and some wonderful stories behind the furniture. I particularly loved the floor to ceiling windows which allowed us to appreciate the Mackintosh furniture with the Mackintosh Building as a backdrop. All three of us thoroughly enjoyed our time at the Glasgow School of Art and we'll definitely be returning once the Mackintosh Building has reopened for a proper look round. 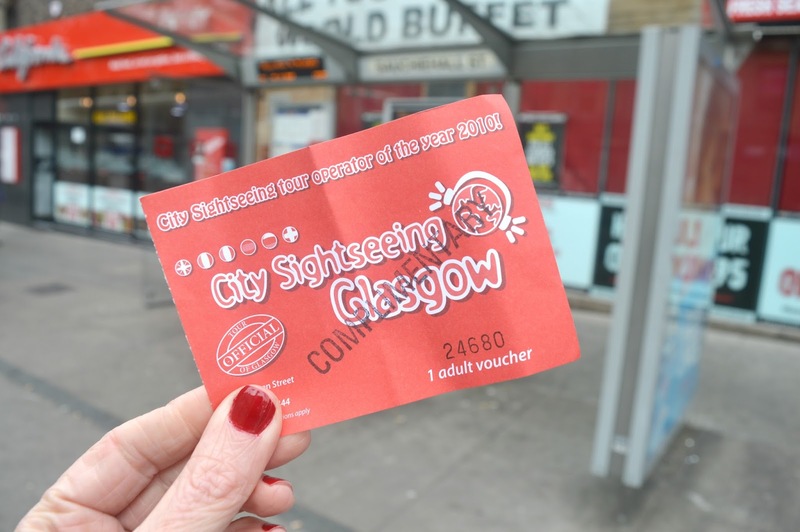 Wanting to learn more about Glasgow we decided to do a whole loop of the city on the City Sightseeing Bus. If you are trying to explore a city and you don't have a lot of time, jumping on a City Sightseeing Tour is the very best way to get around. Some of the Glasgow tour buses have live guides on board and we were very lucky to have a knowledgeable lady guiding us round the city. 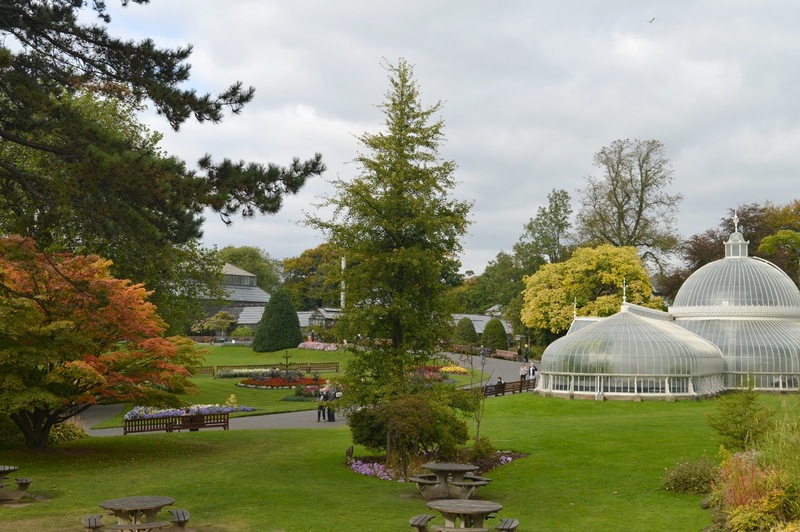 Taking in all of the city's tourist attractions and points of interest the bus costs £13.00 for adults and £7.00 for children and allows you to hop on and off the bus all day. Perfect for making the most of your time in the city. 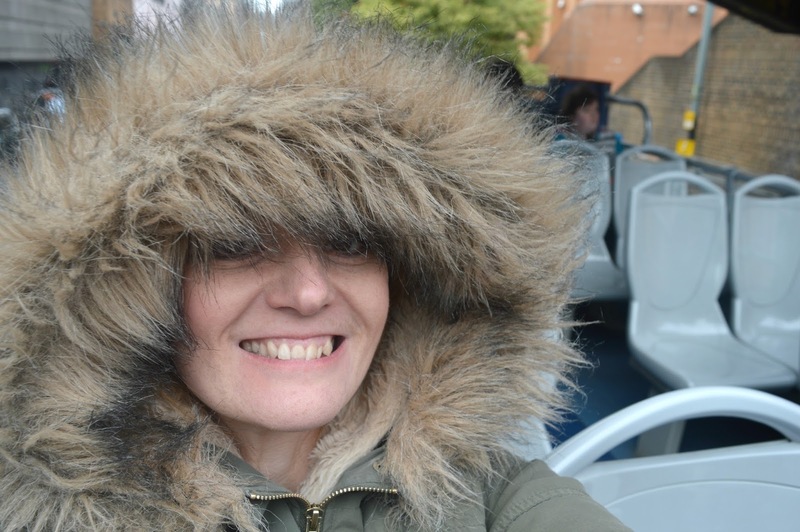 For me the only way to travel on a sightseeing bus is to sit at the top. Come rain or shine that's where you'll find me! The top deck may be open to the elements but it offers the most fantastic views of the city and as long as you're wrapped up well it's a very enjoyable experience. The full tour took 1 hour 45 minutes and gave us a real feel for all that Glasgow has to offer. I spent quite a bit of my time on the top deck looking longingly down the shopping streets. I never realised it but Glasgow is the UK's largest shopping destination outside London's west end. With no time for shops on our trip I need to return for a shopping weekend to explore the 1,500 stores. As we made our way round the busy roads I completely fell for the vibrant city with it's lush green spaces, gorgeous architecture and proud heritage. 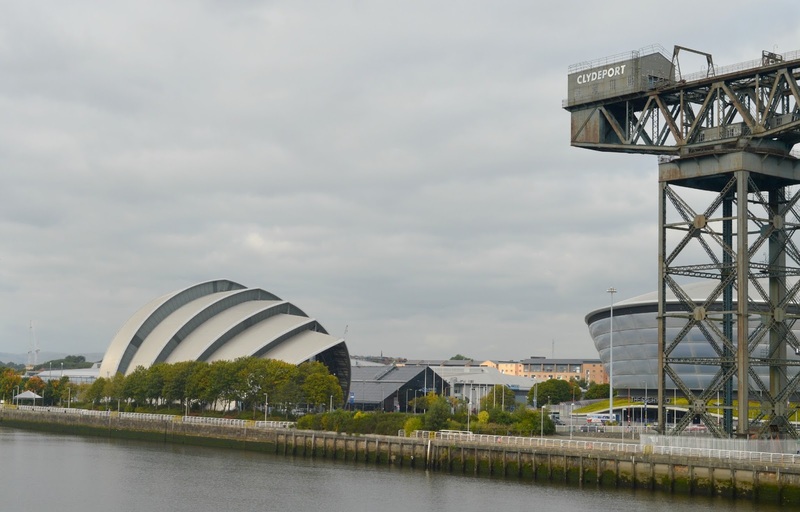 Voted "world's friendliest city" by Rough Guides last year and still on a high from hosting the most successful Commonwealth Games in history, Glasgow really does offer something for everyone. 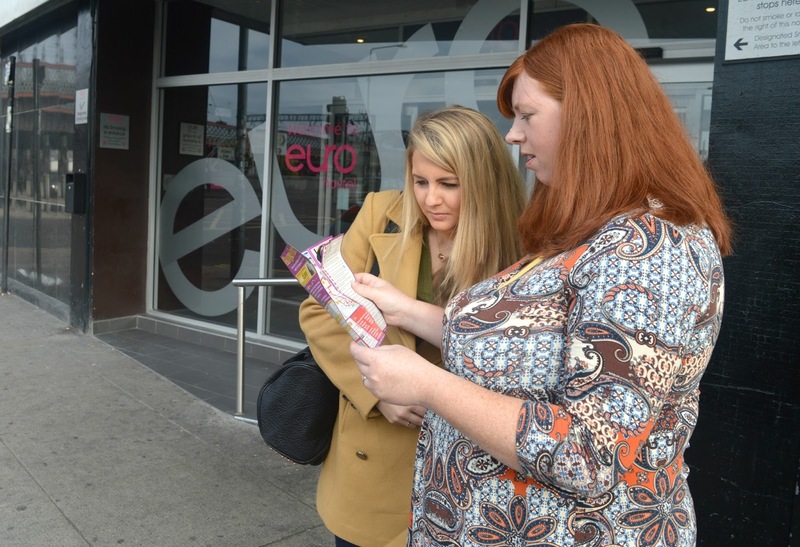 I was sad we didn't have the time to jump off at each of the 28 stops for a proper look round. 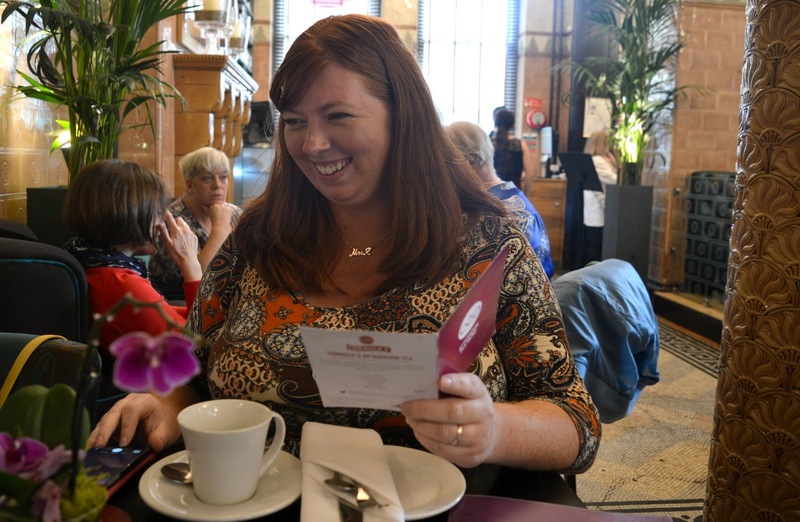 Of course whenever I visit a new city it tends to feature an afternoon tea so I was really happy when People Make Glasgow suggested a trip to the Cup Tea Lounge in the heart of Glasgow. The stunning Victorian lounge featured original tiled walls, decadent lights and beautiful flowers. Our Signature Afternoon Tea featured delicious sandwiches stuffed with Egg Mayonnaise & Cress, Smoked Salmon & Cucumber with Elderflower and Crème Fraiche Drizzle and Poached Tarragon Chicken. 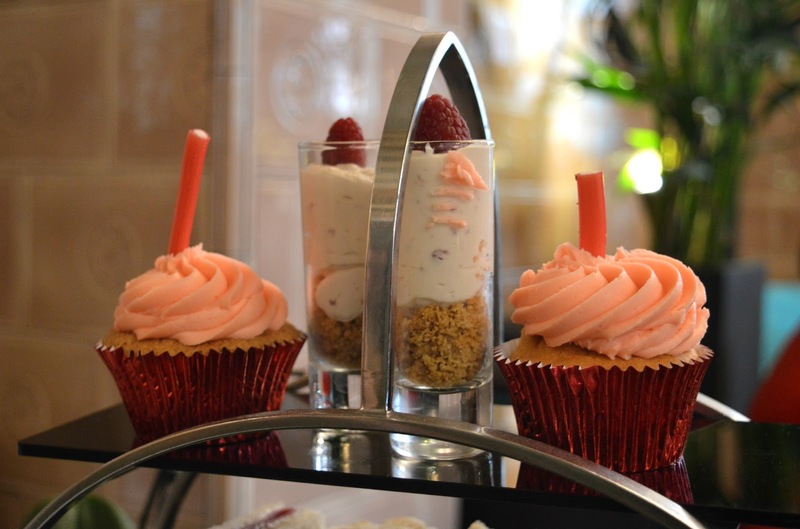 The top tier of cakes consisted of a Pink Lemonade Cupcake, Mini Strawberry Tart, White Chocolate and Raspberry Cheesecake Pot and, as a really lovely nod to the city, a Tunnocks Teacake. 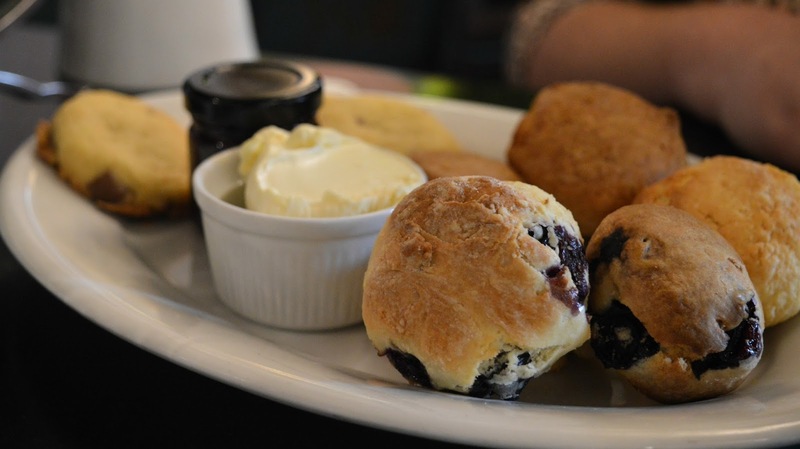 Scones at the Cup Tea Lounge are served separately so they are warm out of the oven. A really lovely idea, although ours were forgotten about and appeared only after a reminder. When they did arrive I loved that they were warm and was particularly impressed at the inclusion of a blueberry scone and a nice added touch of freshly baked milk chocolate and coconut cookies on the side. Unfortunately the Cup Tea Lounge was a little busy and understaffed for a Saturday afternoon so the service wasn't fantastic but we left with very full and happy tummies. We waddled our way back to the Euro Hostel to pick up our bags and then, feeling slightly sad, we made our way to the station to catch the train back to Newcastle. When I was growing up my Mum used to say to me "it's always best to leave somewhere wanting more". Well Glasgow, I NEED more! I thoroughly enjoyed the 24 hours we spent in the city and just wish that we'd had time to explore more. Glasgow I will be back! If any of you have any recommendations for what else I should see or do next time I'm in the city, please do let me know. I'm jealous but it looks like you all had a great time! I'm the complete opposite to you and struggle to find good things about the UK but Glasgow definitely makes it a bit better. I've only been a few times and haven't done any of these things - yet! Gonna take my Scottish mama for that afternoon tea, it looks amazing! Looks like you had a lovely time! I love Glasgow but haven't been in years, I must arrange a trip soon. Looks like you had a great trip! I've never been to Glasgow but it looks like there is a lot to do :) Hope you had a nice time.